Thrive is a full-service, Dallas-based web design and marketing agency. We sit on the cutting edge of the internet, creating exceptional websites and implementing solid online marketing strategies to help businesses achieve the recognition and revenue they need to thrive. 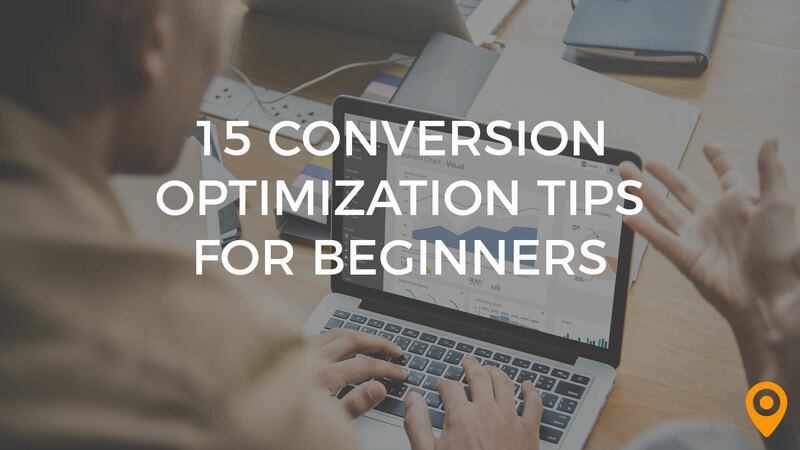 Check out these 15 easy website conversion optimization tips that you can begin implementing today. No experience necessary! Whether you’re just starting out with an SEO campaign or you’re adding a new service or product to your site and starting to promote it, you’re probably wondering how long it’s going to take to get more organic visibility for your targeted keywords. 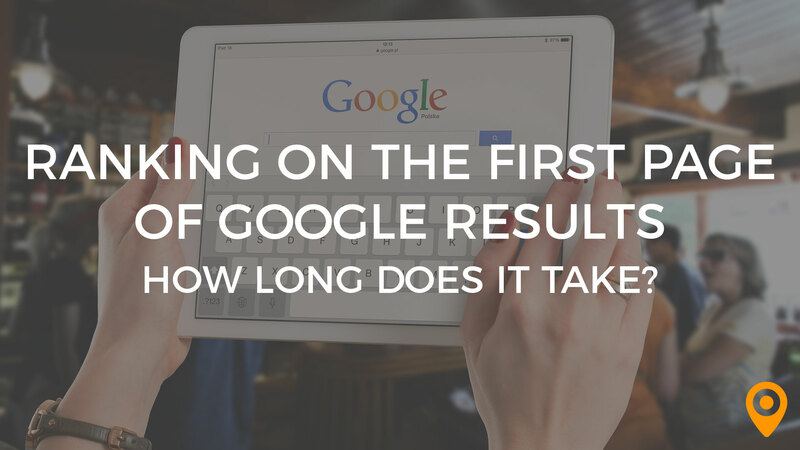 Find out a general timeline of how long it will take to get to the first page of Google results. When you’re a local business, getting found in Google for local searches is essential. 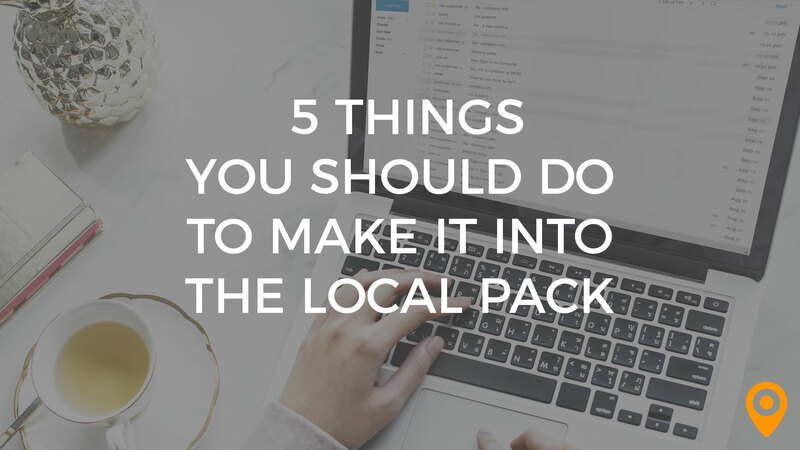 Here are five things you can do to work on grabbing a spot in the Local Pack. Brilliant team for SEO, SEM (PPC) and social media management. Thrive is taking on a number of new clients (high class problem to have), and this occasionally impacts their ability to treat me like the only client they have (yes, I'm *that* client who wants to be treated like the only client the agency has). But this is truly a nit comment as 99% of the time, my interactions with Thrive are answered / resolved nearly immediately. White-hat SEO is tough to find. This company cares more about longterm SEO success than quick keyword jumps. We've been very pleased with the results so far. We have measurable increases in organic traffic, search engine rankings, and DA within the first several months and everything is on a steady upward trend. Initially, it took some time to get a clear understanding of our strategy and roadmap. However, after some discussions and video chats, we got everything ironed out. Moosa provided us with detailed keyword analysis and competitor reviews which really helped point us in the right direction. We started working with Thrive after considering a few SEO agencies. Our main reason for going with Thrive was their reputation for quality, white-hat SEO strategies which is rare in this industry. In a few months, we were able to see real results in organic growth - a measurement that is on a consistent upward trend. Once we got fully aligned with our SEO specialist, things were smooth sailing and currently, there is very little agency-management required on my end. They know what they're doing and they get it done. Thrive takes care of all your Website needs and they do it quickly, they are very good at what they do. You have a team that you work with and each member specializes in the area they are working on for you. There is nothing I did not like about Thrive. It is expensive but it is part of the cost of doing business. I have been in my business for 17 years and they are by far the best. This area of expertise and what they do, is not an easy part of business to master as it changes everyday. They keep up on those changes to keep your business advertising strong, always reaching to target your market. My overall experience has been excellent!!!! We will continue to work with Thrive!!!! They're extremely quick at responding to emails, always seem to break things down clearly for me to understand, and are overall pleasant to work with. The amount we're paying for services seems a bit high for my liking. Although I'm new to working with Thrive, it's been nice working with them so far. The amazing teamwork, collaborations, and feeling that we are their number one client. There is nothing that I do not like about the team at Thrive. Seriously. Awesome teamwork, extremely professional, very responsive and always on time. Our Thrive team is constantly coming up with new ideas and collaborating with us. The work is top notch! We were worried that we would not get great attention due to the fact that it is all remote/online, but it has been the complete opposite. We correspond several times a week, have conference calls, and really feel like one big team working together to promote our company. They give us the feeling that we are their only client, even though we know that we are not. We laugh and have fun and get really high quality results. Monthly reporting is so in-depth, you could almost call it too much reports (if that is possible! ), but we see everything that is happening, the good and the bad. An overall great and positive experience, would highly recommend to anyone. The SEO services are top notch! Amber has done a great job providing overall strategic advice to improve our site. Improvement is needed (and I believe is being made) to the outsourced content/blogging services. Overall it's been a pleasure working with thrive. They had good results so far from our SEO and PPC efforts and expect them to grow in the future! Alan and his team are great! Very interested in our Company needs. They really care and work hard to help us promote our company and position on the Web. We have not had any issues with Thrive or their teams. It has been fantastic. Very attentive and hard working team. We have seen tremendous improvements in our web presence and marketing since we have switched to Thrive. I would highly recommend them. The one thing that sticks out the most is Amber's ability to produce detailed video based reports each month showing what has been working, what needs improvements and where we are in relation to our goals. Cannot say there is much I dislike with my experience with Thrive! Working with Thrive has been a great experience from the very first call I made to them October 2017, till now. I have no reason to believe it will change in the near future either. Their team listens to our needs and works diligently to accommodate all requests that we have in a timely fashion. Thrive always has great ideas how to achieve goals when we are not sure how to get there and to top it off they have a great staging and development team that is helping us to streamline our daily processes resulting in a fantastic ROI! Diana's responsiveness and willingness to help us find workable solutions has been invaluable. We had a few delays but Thrive communicated with us when they arose. The process seemed disjointed and lacking in creativity at times. Overall, it was a good experience and we ended up with a great new site. This new arm of our business needed a presence online to build visibility and establish some branding. Thrive delivered on this goal by building a remarkable new website. What I liked the best is that Jacob Wulff was very attentive, thorough and a problem solver on Cranecos needs and concerns. Not one thing at all, all the services provided were GREAT! Very PLEASANT to work with! They do what they say. They have been absolutely fantastic to work with and can't wait to see the results. Nothing so far. It does take some time to get the campaigns set up, but they tell you that from the begining. Great communication and response time from my representative. They perform as advertised or better. Can’t really think of a negative experience with Thrive. Was scared when I first jumped in but as stated, great decision. From the first meeting until today my experience has been better than expected. Performance and dollars spent have been what was promised or better. Overall experience has been exceptional. Thrive is the real deal, unlike many sep companies who just sell "boxes" of SEO thrive has the talent to specifically target your goals. The thrive team is also a totally honest, trustworthy group. I've used them longer than any other web team after trying 4 or 5 other SEO companies. Highly recommend! I especially like the fact you can meet directly with the people working on your campaign and they will perform specifically what you desire. the pricing is definitely fair. they also easily describe their work in simple layman terms making it easy for us non tech types to understand. We find Thrive to be friendly, customer focused, and transparent with their reporting and information. The service feels personal. We have not experienced anything negative or "things we likes least". We have had a very positive experience with Thrive. They have been a trusted partner for us and we enjoy working with them. The Thrive team is always available to help with any questions or concerns that arise. They are prompt, honest, and trustworthy. At this point, I have no recommendations on ways to improve. The Thrive team as been exceptional so far. After interviewing the team to potentially contract our SEO and PPC marketing work, I was confident in the team's ability. They set high but realistic goals. There are always open lines of communications. Thrive does great at making you feel like their only customer. They have all the resources of the largest entities with the service of a one man shop. Cannot say enough about how they have helped my business grow. There is not much I can say negative. I have used other SEO firms in the past, and while thrive is not the cheapest, you get what you pay for. Alan and the Thrive team are always quick to respond when we have questions, or want to make changes. Our company has changed our focus a tremendous amount with this since we brought them on board. Our company has changed the way we do business at light speed, multiple times, and Thrive is always right there to pivot with us! Don’t really have much to say except for the obvious...I can’t do what they can! Awesome! We have multiple discussions, almost daily, about how customer service simply doesn’t exist anymore. Customer service has always been my priority, and likewise, All Pro Door Repair’s focus, so its wonderful to have the Thrive team there to serve our needs, when we need them. Complete confidence. Thrive helped my local GEICO agency generate some more internet leads, by creating better social media content, running paid ads to the social content we were creating, and improving our Google local listing. The initial investment felt a bit pricey at the time, but after seeing the kind of ROI we've gotten for our efforts, we feel happy to have taken the leap of faith. It's been an incredible experience working with Thrive so far. Six months into our campaign, they've blown us away, far exceeding any expectations we had for the number of leads we expected to get. As such, we are continuing our work with them indefinitely. The personalization. Knowing that Jacob was working directly for us and if at any time we needed something, he was always available. That if there was a problem, it was fixed quickly and with no issues. The first person to handle our campaign did not do a very good job. He is no longer with the company thankfully, but after switching over to Jacob he was able to find things that the first person didn't do correctly and was able to correct our campaigns. We are extremely happy with Thrive and with Jacob. We have been with them for 2 years now and our business is growing. Anytime we want a change, to add an area or remove an area, it is done immediately. They have become like family to us and that is what we wanted. Not just another advertising company, one that actually cares about us, why we do things the way we do. We are a small business and it is hard to not get lost in the shuffle of advertising, not only among the others advertising the same business, but to become just another number in the company bucket. Thrive and Jacob have gone above and beyond in helping us set our business apart and helping to keep us on top and treating us like family. We highly recommend Thrive to anyone looking to advertise. It would be the best move you could make. I know it was ours. Thrive has been an absolute pleasure to work with. Their team goes above and beyond in all areas. Their professionalism and expertise made me feel like I was in good hands from the very beginning. There is nothing to dislike about working with this agency, I've enjoyed every moment of it. Thrive is team of skilled professionals. Their attention to every minor detail produces something better than I thought was possible, they really take pride in their work and treat my business as if it was their own. I highly recommend this agency and will continue doing business with them for years to come. Thrive provides great quality work and friendly service. We have not had any negative issues to speak of and feel confident that they would work with us to resolve any issues should they come up. We hired thrive to help with our PPC and SEO about 4 months ago. They have done an excellent job of executing our marketing plan and have been a pleasure to work with. We really appreciate their personable service style and are looking forward to seeing continued results as we move forward with them. Thrive was great to work with - always available, eager to please, and professional in every regard. Nothing - Thrive met all of our needs. They designed our website, helped with the implementation of a separate sales login, and provided videos on how to update the information ourselves. Thrive excelled in all areas. They were completely professional and knowledgeable. Thrive were great at meeting our demands and answering all of our questions. The ability to listen to my ideas and take me through their design process with clear and concise execution plan. I didn't get basket of goodies for christmas! No seriously, nothing to complain about here. Amazing group of people! It's a digital age and you need a team like Thrive to take you to the next level! I've once approached Thrive for a startUp project that I had in mind and they were able to take my ideas and create an outstanding presentation for my audience. This is the type of team you want behind your business. Had a clear plan to improve our website and SEO. Followed thru on that plan excellently. No complaints. They've followed through on our plan and made the fee more than worth the it. Excellent company that has done great things for our web presence. Couldn't recommend them highly enough. SEO is a difficult product to provide well. Thrive exceeds all expectations through R&D, working with clients to understand their business goals and customer bases, and helping them find and attract more leads. They have a structured process based on developing a strategy and delivering results. SEO is an investment, you cannot have success within the first month. You have to commit to the long haul. Thrive did a great job of preparing us for the roadmap and setting realistic expectations. Thrive is a great company run by trusted individuals. They value integrity and morality, which is uncommon. I'm always working on something and Thrive would be one of my top companies to work with. The company culture. Their employees work great together, and really take care of their customers. In launching our start-up, we knew it was critical to find a marketing firm who shared our passion for helping customers. We found that and more at Thrive. They’re not just a vender to us. They feel like part of our family, and when you are entrusting your company’s reputation to a marketing firm, that is exactly what you need. The site they are designing for us is outstanding, and completely blows away the one we made for ourselves using those online tools you get from most hosting sites. We have never regretted choosing Thrive. I highly recommend them! There desire to hear out my needs and not just fit me in a box, or push me into something I didn't need. There was nothing that was disappointing. I have known Matt Bowman, founder and visionary, of THRIVE for years. He maintains his commitment to follow through and get results. Results is all that matters with Internet Marketing, and THRIVE will get them. Thrive did a great job designing my company's website, and helping us create an online marketing strategy. Had a great experience, there weren't really any drawbacks. I would highly recommend them to any business who is looking to create or grow their web presence and incorporate all of the best practices for online marketing. They have a team of specialists in each area of their offerings. I love that approach, because many companies have the same people handling every service (web design, development, PPC, SEO, social). Thrive has experts in each of these disciplines. The people at Thrive operate with integrity, honesty and character. I have nothing negative to say about my experience with Thrive. Thrive is an excellent choice. Each person is personally invested in the mission of Thrive and vested in helping other companies grow. Matt Bowman, owner, has created an amazing team who genuinely care about people and want to make a difference for each business and in the world. The pay per click lead program with no contractual liabilities is fantastic. It will give you the opportunity to pay for what is actually produced with the ability get and see the results without signing on for a long term commitment. The value is undeniable! Nothing at all! Thrive is the best! I have known Matt Bowman, the owner of Thrive Internet Marketing, for 20+ years. When choosing a partner to business with, you will not find someone that has more integrity and that is dedicated to getting it right every time than Thrive. I know that through Matt's leadership and values, Thrive does not have any unhappy clients because they take care of them and go the extra mile to exceed expectations every time. I am personally familiar with Thrive's executive leadership team and operational setup. I highly endorse their corporate integrity and overall structure. I have known Matt Bowman and several of his staff for many years. Matt sets an example and expectation of strong character and competence. I enthusiastically recommend them to you! I have nothing negative to say. My experience with this organization has only been positive. I appreciate the attitude, integrity and innovation of Thrive's executive leadership. I had a great experience with Joseph at Thrive. He delivered on his promises. At the same time I was paying another company in Dallas that over-promised and under-delivered. Thanks, Joseph! well I wish they had an office next to me in Fort Worth. It's great that they're always willing to drive to Fort worth but I'm not moving my office to dallas or arlington. Thrive! Come set up a new office in Fort Worth ASAP! In the past 3 years I've worked as a tech-advisor, owner, and CTO in 4 different large web-design, SEM, and SEO projects. All 4 deals were with different companies (all 4 in DFW including Thrive). The only company I will continue to send my business to is Thrive. The other 3 companies either lost me or my clients money or were a wash regarding ROI. Thrives's Customer Service and efficiency is of the upmost level of professionalism. Efficiency beyond our expectations that caught us by surprise. Needless to say, this is a really great bad, if you can call it that. Thrive's team of professionals were able to not only catch and understand our vision, but they were able to make it better in ways beyond our expectations. We couldn't be happier to have chosen Thrive to serve and to guide us with our internet Marketing. The quality of their web design & SEO service is top notch. They are honest, prompt and the entire team is enjoyable to work with. It feels like you are working with family. I do not have any feedback to add here. I continue to use Thrive on a monthly basis because I have had such a positive experience. They understand the big picture of what a business owner is trying to achieve and they know how to implement the steps to achieve those goals with quality and precision. I highly recommend Thrive!